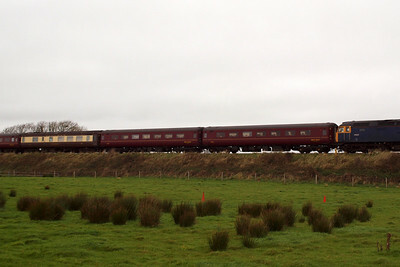 08/10/11 - 47854 & 47237 working "The Peaks & Fells Explorer" charter from Stevenage to Carlisle. 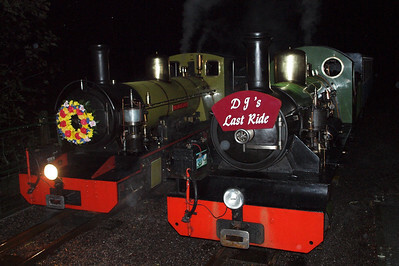 Plus Northern Rock and River Irt double-heading a special night-time memorial train for R&ER employee Dave Jenner, who passed away earlier in the year. 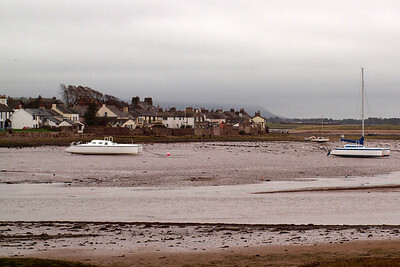 A brace of catamarans grace the estuary of the River Mite at Ravenglass, seen from Saltcoats. 08/10/11. 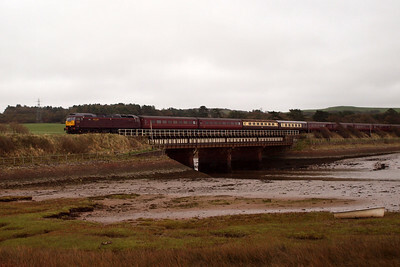 47854, newly returned to traffic after fire damage repairs, leads a Stevenage - Carlisle railtour over the Mite viaduct at Ravenglass, heading north. 08/10/11. 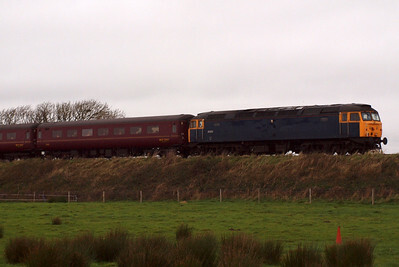 47854 fords the Mite at Ravenglass. 08/10/11. 6000, 6022, 1201, Derwentwater. 08/10/11. 3359, 3360, 3350, 3326, 3431. 08/10/11. 47237 tails the railtour northwards to Carlisle, seen here at Saltcoats. 08/10/11. 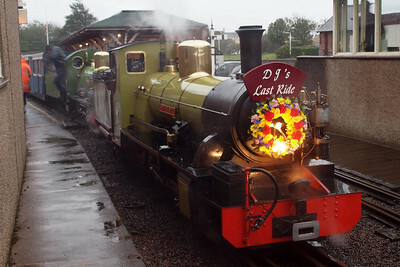 Northern Rock and River Irt sit at Ravenglass with a special memorial train for Dave Jenner, who passed away in May. 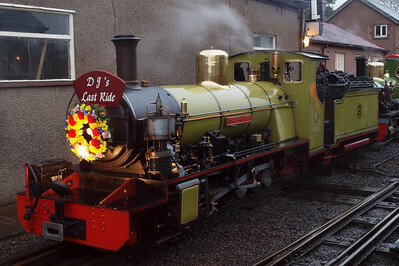 Dave had been a member of staff at Ravenglass and was a close friend of mine. 08/10/11. 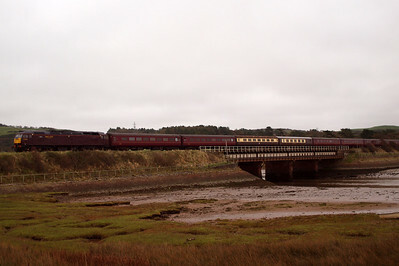 Northern Rock and River Irt double-heading the memorial train at Ravenglass. 08/10/11. 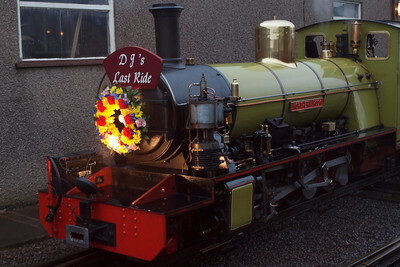 Northern Rock, adorned with headboard and wreath, with the memorial train. 08/10/11. 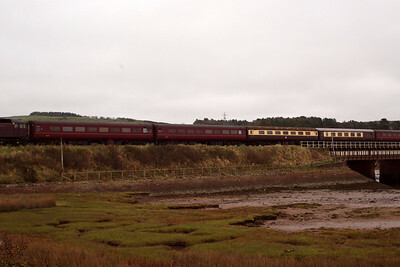 Northern Rock with River Irt at Ravenglass. 08/10/11. 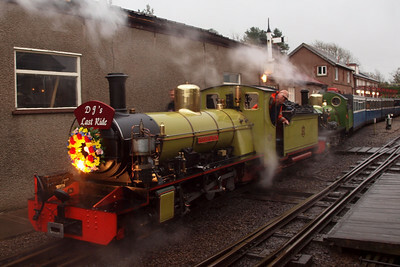 The memorial train sits in Platform 1 at Ravenglass. 08/10/11. 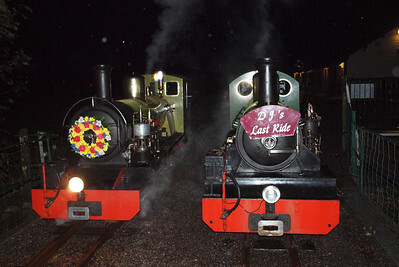 Northern Rock and River Irt sit side by side on the bridge at Dalegarth in the dark. 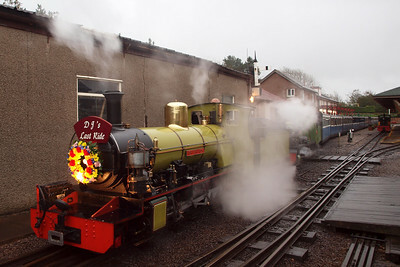 Rock would then work back to Ravenglass light engine, with Irt following later with the train. 08/10/11. 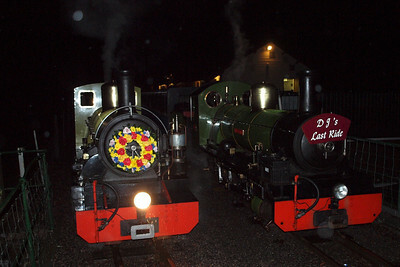 Northern Rock and River Irt at Dalegarth in the dark. 08/10/11. 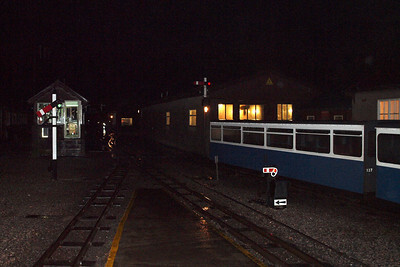 Autumn night at Dalegarth, with Northern Rock and River Irt in attendance. 08/10/11. 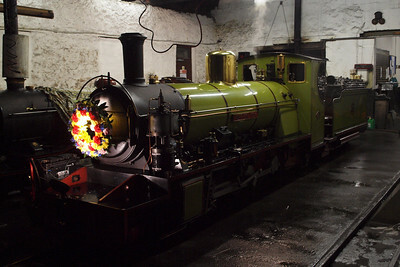 Northern Rock rests in the engine shed. 08/10/11. 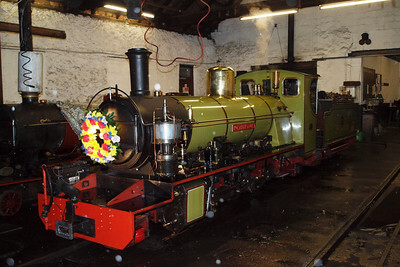 Northern Rock, still carrying her wreath, in the engine shed at Ravenglass. 08/10/11. 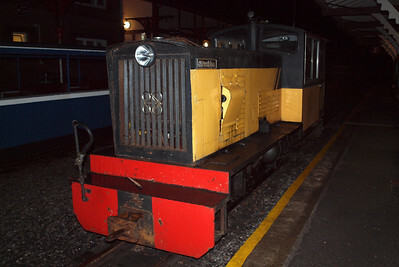 Perkins at Ravenglass in the dark. 08/10/11. 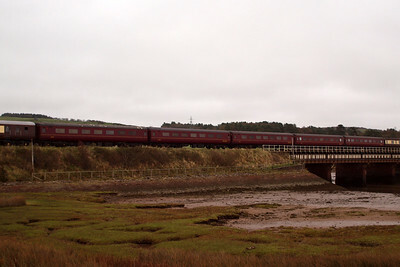 A dark Ravenglass station. 08/10/11.